[Helaas bestaat deze tekst alleen in het Engels] At this moment, what could become the largest and most comprehensive bilateral trade agreement to date is being negotiated between the United States (US) and the European Union (EU). The negotiations are taking place behind closed doors and the governments involved, whose duty it is to serve the interests of the people, are instead taking commands from the corporate lobby. Should an agreement be reached we can expect diminished environmental regulations, undermined labour rights, and reduced food safety standards, along with increased corporate influence. Therefore, the TTIP must be stopped. The first round of negotiations for the Transatlantic Trade and Investment Partnership (TTIP) took place in July 2013, and although the aim of the negotiators was to finish the process swiftly, a more realistic estimate is that they will continue the negotiations for at least a couple of years to come. The stated aim of an agreement is to remove “regulatory barriers” on both sides of the Atlantic, with the alleged purpose being to create new jobs and stimulate increased economic growth (1). The European Commission has claimed that an ambitious agreement will lead to a strong GDP boost, along with “job-creating opportunities for workers on both continents” (2). This statement is based on a study requested by the Commission itself. Even this study however reveals that economic gains in the shape of greater household income would only be fully felt after 2027, and only if an all-inclusive agreement is reached, which is deemed unrealistic. Moreover, the study explicitly states that an agreement will not lead to more jobs, as opposed to “job-creating opportunities” (3). Other sources claim that not even job-creating opportunities would be created (4), and that, on the contrary, unemployment would rise as a result of job displacement due to the TTIP (5). Apart from these hard facts, we argue that the strive for increased economic growth in itself is not worthwhile. Instead focus should be put on the development of more sustainable economic and trade models. Besides the ins and outs of the treaty’s questionable “advantages”, there are other, even more worrisome risks on the loom should an agreement be reached. 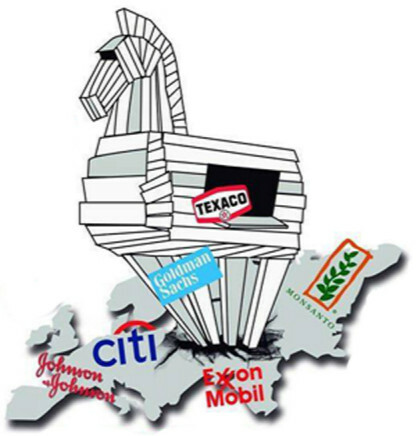 The TTIP in practice would lead to the weakening of health, consumer, worker and environmental protections. While the negotiators hide behind vague technical terms and goals, such as reaching regulatory coherence and compatibility, and removing regulatory barriers to trade, in reality these barriers that are referred to are our much needed environmental regulations, food safety rules, labour rights, and toxic chemicals regulations. Although the Dutch Minister for Trade speaks of a “race to the top” as a result of mutual acceptance of each other’s standards and regulations (6), past experiences loudly contradict such statements. Instead we will see the weaker regulations win in every case, de facto causing a race to the bottom (as was the case with the North American Free Trade Agreement, NAFTA). In terms of food safety and food sovereignty, an agreement would have severe effects on both sides of the Atlantic. 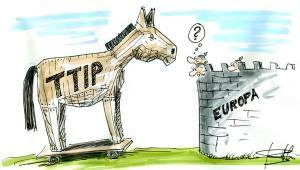 By facilitating the removal of differences in legislation between the EU and the US, the TTIP would lead to the watering down of European food safety standards and other agriculture and food-related policies (7). Moreover, the TTIP could be used to counteract positive food-related initiatives in the US and the EU alike, such as local preference legislation: legislation and practices that support locally grown and sustainable agriculture. The treaty will furthermore have an amplifying effect on corporate power and patents, which in turn will be devastating for seed and plant biodiversity as well as for small- and medium-scale farmers around the world. The inclusion of investment protection in the shape of Investor-to-State Dispute Settlement (ISDS) is another reason to reject the TTIP, as it would further increase corporations’ power over countries. ISDS is an instrument that grants a foreign investor the right to initiate dispute settlement proceedings against a government in private international courts. This supranational legislation thus challenges state sovereignty for the sake of corporate interests, as well as it endangers environmental, health and consumer rights. A well-known recent example of this type of dispute settlement is Swedish energy company Vattenfall suing the German state for expected losses due to the country’s decision to phase out nuclear power (8). As is custom for trade agreements, the TTIP negotiations are very secretive and non-transparent, and there is no way of knowing exactly what is on the table. What is known however, is that big businesses are the treaty’s strongest supporters, and the corporate lobby is well over-represented in their communication with the negotiators (9). Although EU Trade Commissioner De Gucht along with other representatives are eager to assure the public that EU regulations on for instance GMOs and hormone-treated beef most likely will not be included in an agreement, the same persons are advocates for a so-called ‘living agreement’. This in practice means that specific issues will not be included in the agreement text, but the breaking down of regulations will follow after the TTIP is agreed upon, and will be wide open for corporate influence. On a slightly longer term we can thus expect both hormone-treated beef and increasing amounts of GMOs entering the European market as a result of the TTIP. What makes matters worse is that a massive agreement like the TTIP between the EU and the US will not only impact the countries involved in the negotiations. It will also be used as a standard for similar agreements all over the world, with negative consequences in the global South and elsewhere. The TTIP would lead to diminished environmental regulations, undermined labour rights, and reduced food safety standards, along with increased corporate influence. All this for the possibility of gaining very questionable economic profits – an effect that is small, highly uncertain, and not worth striving for in the first place. The damage of a treaty clearly outweighs any potential benefits by far, and the fact that an agreement on these terms is even considered shows the present interest in reinstating the social, economic and political inequalities that already afflict the capitalistic society we live in. It is up to us to construct sustainable alternatives to the current trade and economic model as well as to the connected food and agricultural system, in order to achieve systematic changes on our own terms, based on our own values. A Transatlantic Trade and Investment Partnership that puts investor privileges above public and planet interest and democracy is not what this world needs. 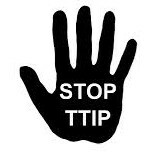 Therefore, ASEED strongly opposes the TTIP and urges anyone and everyone to take action to stop it.